To begin all NHL games both teams are awarded one timeout. They can use it at any time during the game except after an icing. Most coaches use it to set up a play late in a game or to give the top power-play unit a rest if they’ve been on the ice for a while and the coach wants to keep them out there. However, there’s one other use for the timeout and it’s a big one. In the event a team wants to challenge a play for goalie interference, they must risk their timeout. If you don’t have your timeout, you can’t request a challenge. Thus, holding on to that one timeout can be crucial, especially in a game in which a team is leading. The purpose of the timeout in hockey has essentially changed. 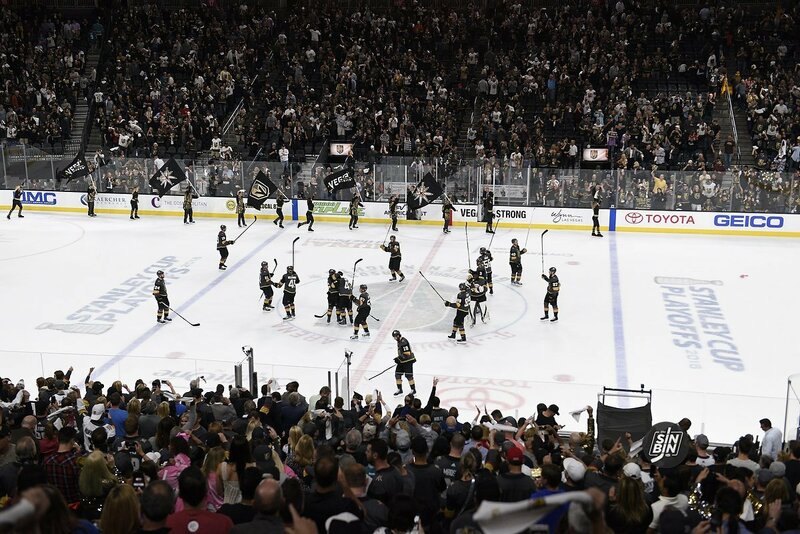 The Golden Knights have pulled the goalie a total of 21 times this season. They’ve been “successful” (at least tying the game) just one time and it happened to be on the first attempt of the season. Since Max Pacioretty’s goal on October 6th, Gerard Gallant has pulled his goalie 20 times and his team has not scored a single goal. In that time they’ve allowed 11 total empty netters, conceding at least one in 10 of the 20 games. However, this is not horribly uncommon as 10 of the NHL’s 31 teams have just one successful goalie pull this year. 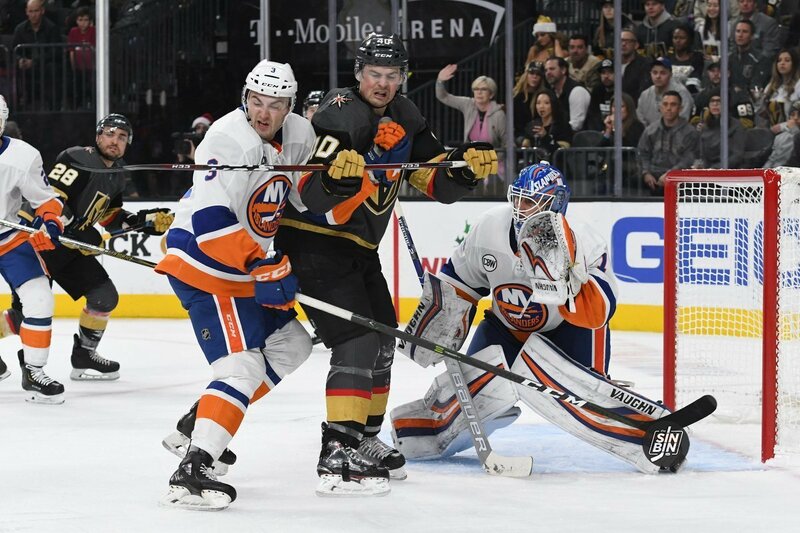 Plus, four teams (Arizona, New York Islanders, Dallas, Pittsburgh) have all yet to tie or win a game after pulling their goalie. That means 45% of the NHL has just one or fewer successful goalie pulls. However, that doesn’t mean the success rate of the goalie pull is poor. Actually, 14.6% of one goal games result in a tie game when the goalie is sent to the bench. Calgary, Minnesota, and New Jersey are the best at it, each successfully tying the game four times. When down by one goal, the league average of the goalie is pulled is 1:43. Vegas is the fifth most aggressive team when it comes to time, pulling the goalie on average with 1:58 left on the clock. The most aggressive team is Toronto, pulling the goalie on average at around 2:28 left in the game. The Golden Knights average pulling their goalie with 2:01 left on the clock in all situations. The earliest Gallant has removed the goalie was at the 3:13 mark, in the March 10th game at Calgary (down two), while the latest was with :49 vs. Montreal on November 10th (down one). Just nine of the 21 times has Gallant done it outside of 1:30 to 2:30 left. Other teams have been far more adventurous. Tampa Bay once pulled the goalie with 9:47 to go, Dallas did it with 7:48, and Nashville recently tried it with 6:09 left. 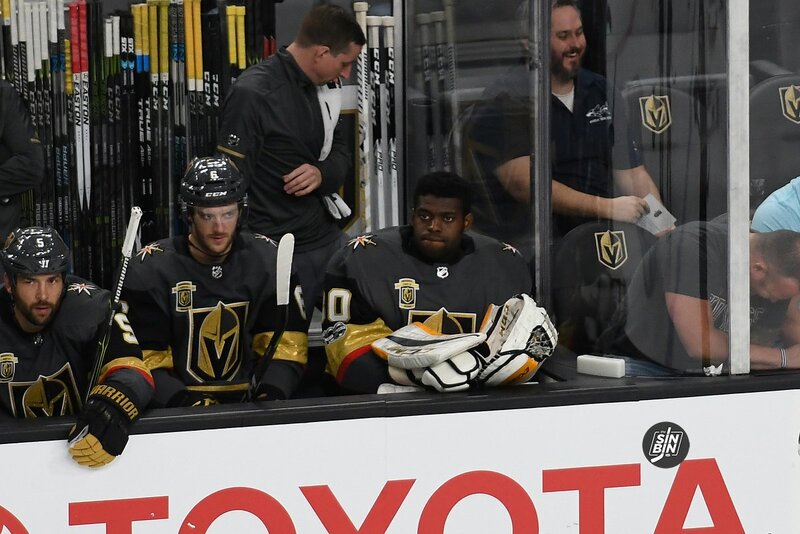 There have been more than 100 instances this season in which a goalie has been pulled earlier than the earliest Gallant has pulled VGK’s goalie. With the goalie out, Vegas is about average at keeping the puck from going in their own net. They’ve allowed 11 empty net goals in the 21 goalie pulls. That’s good for 14th in the league. Calgary is the best allowing just four, while Dallas is the worst giving up 16. 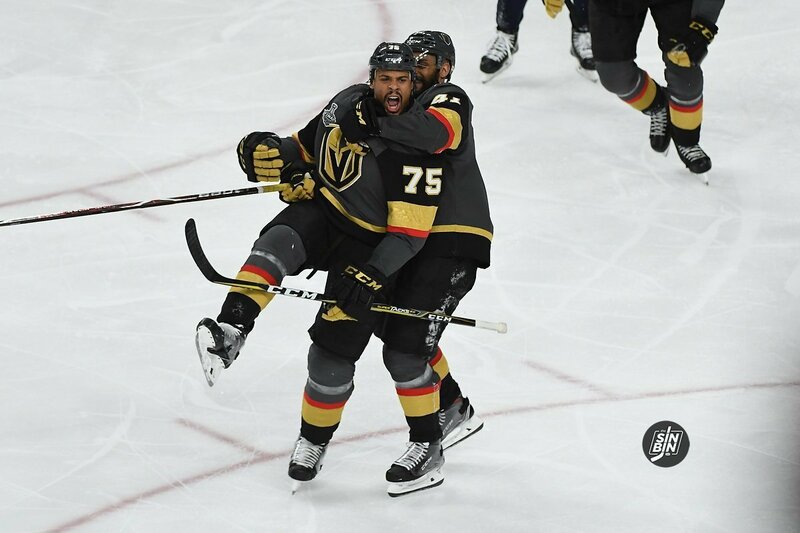 All in all, pulling the goalie hasn’t been great for the Golden Knights, but you certainly can’t say Gerard Gallant isn’t trying. 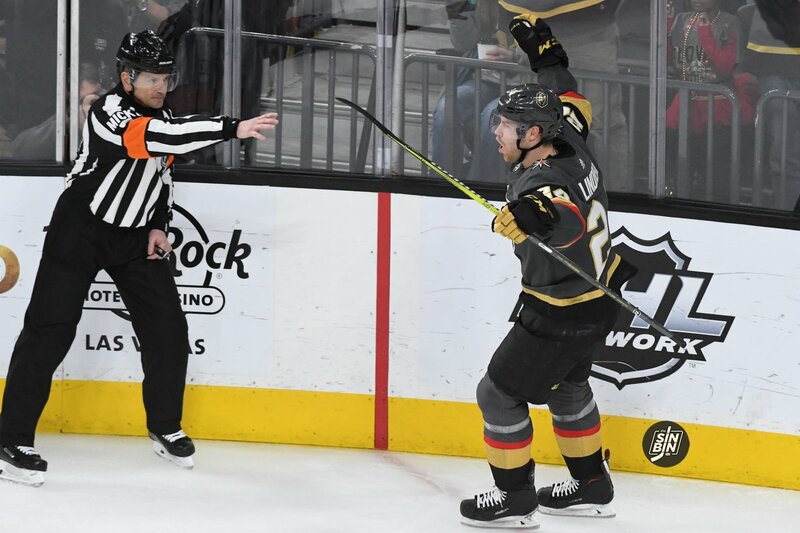 On December 13th, 2017 the Golden Knights claimed Ryan Carpenter on waivers from the San Jose Sharks. It took him almost a month, until January 5th to finally get in his first game. Since, he’s become a staple in Gerard Gallant’s lineup… much to the chagrin of many in the fan base. Carpenter has just 13 points in 50 games this season and is a -8 in the plus/minus category. He’s among the worst on the team in just about every statistical category, yet when asked Gallant never has anything but good things to say about #40. He is one of the best in giveaways, just coughing the puck up 15 times in 630 minutes on the ice, and there’s no question he’s a strong penalty killer. But let me throw another group of numbers into the mix. Whether it’s related to Carpenter or not, the Golden Knights are miserable without him. They are a pathetic 2-11-1 without Carpenter in the lineup and score just 2.21 goals while allowing 3.57 when he’s in the press box. Here is a breakdown of all 19 players who are currently on the roster that have missed games. The numbers shown are how the Golden Knights perform without the designated player. 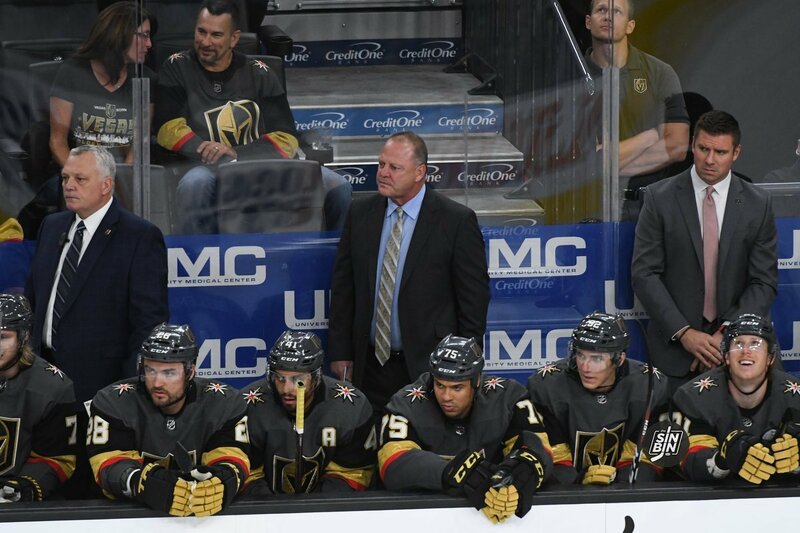 As the clock struck 0:00 in overtime it was time for the Golden Knights head coach Gerard Gallant to make some tough decisions. Per NHL rules, when a game heads into the shootout, the home team is given the choice of shooting first or second. Gallant reiterated that he doesn’t think it really matters, so he kind of just goes off his gut feeling for that night. 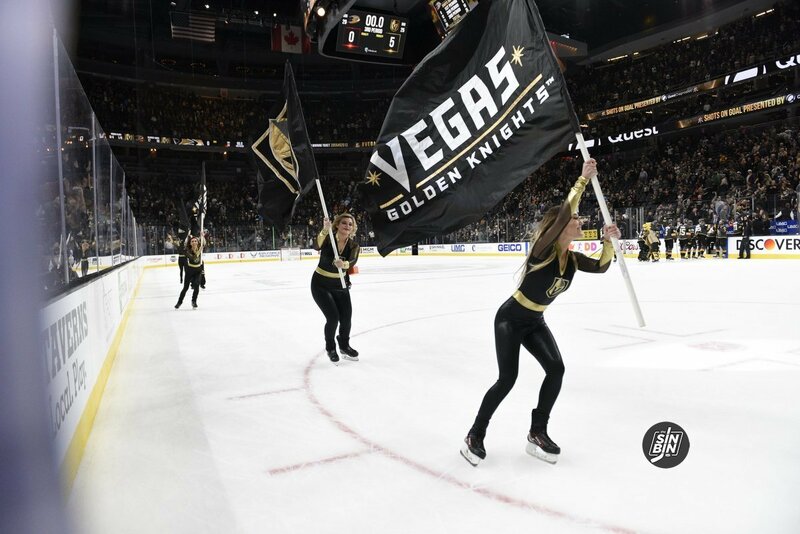 The Golden Knights have been in four shootouts this season and 11 in franchise history. They’ve gone first four times and won just one of them. They’ve gone second the other seven and have won five. Four of them occurred at home, where Gallant is given the choice. He’s chosen to go first in three of the four, winning just one, while electing to go second once, which he also lost. Not sure exactly when this was published, but according to a study, going first or second in the shootout has not been statistically significant in the outcome. At the time of the study. 50.5% of teams that went second went on to win, hardly an advantage at all. 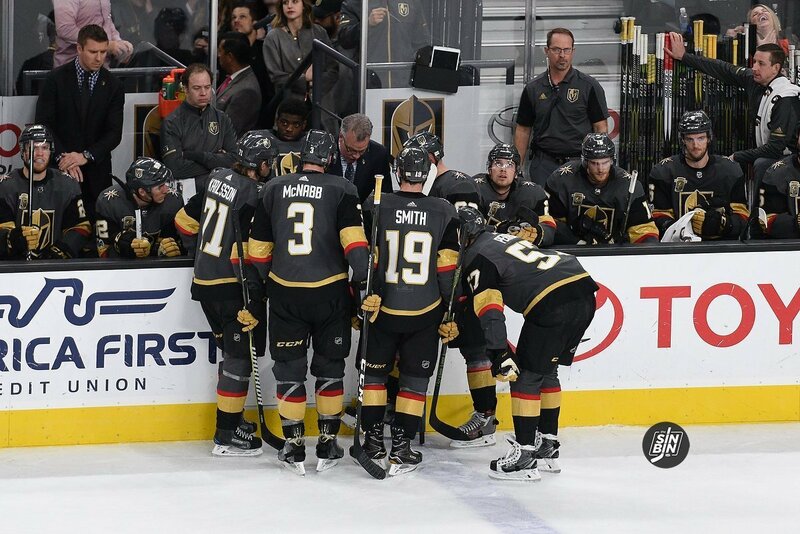 Last night Gallant went with Brandon Pirri, William Karlsson, Alex Tuch, Jonathan Marchessault, Shea Theodore, and Oscar Lindberg as his six shooters. I’ll let him explain the thought process on that one. How Often Do The Golden Knights Coaches Talk About Changing Lines? If you are anything like me, every conversation you get into about hockey ends up turning into a pseudo coaches meeting where you consider all the different line combinations and what might be better than what the team is doing right now. We’re fans though, that’s what fans do. Guess, second guess, armchair quarterback, and criticize when the team isn’t winning. 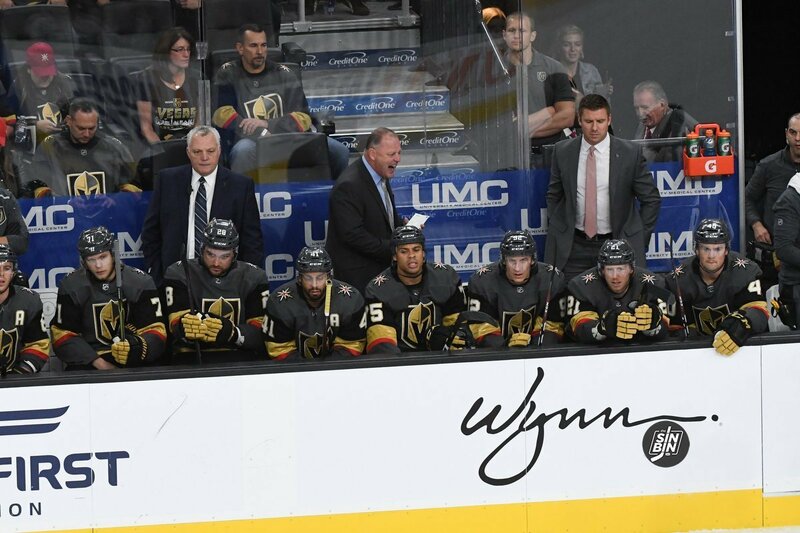 But how often do the Golden Knights coaches actually talk about switching up the lines? Tonight, Gallant and Co. will run the lines out the same way they’ve started the last two games. If you ask me, it’s time to break up the top line. I’ve thrown out ideas such as matching up Marchessault with Reaves, swapping Stastny and Karlsson, or even completely dismantling the top line onto three separate lines. Gallant isn’t known for radical line changes, but that doesn’t mean they never come up in their daily discussions. The Golden Knights are searching for answers. They’ve found them temporarily here and there (see Nashville, Detroit, and Tampa) but all in all, they haven’t found the perfect combination. We know now though that the discussions are happening. If the losing keeps up, it’s only a matter of time before we see something a bit more drastic than what we’ve seen already.